Head over to get a pair of these Princess Jelly Shoes for ONLY $13.99 (Retail $23.99)! Your little princess will never want to take these off! 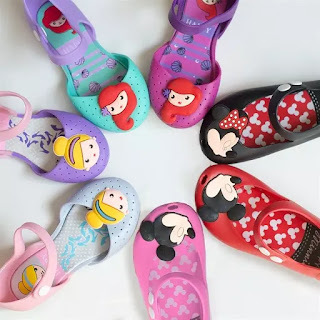 Her favorite characters on cute comfy shoes... what more do they need?! They have snap closures that will hold them on tight and also air slits to help keep their little feet from sweating.